I was advised to go to Dr. Fodor after giving birth as he is the best to deal with body sculpting for my post-pregnancy body. My body has changed a lot and diet would not work and gave up, I was still afraid to make a decision to go for such experience because it is not always giving the best shot. After my surgery, I also advise other s to go for it. 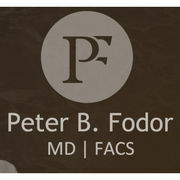 Dr. Fodor knew how to calm me and make me feel with ease with my tummy tuck. It has been six weeks since my surgery and I couldn't be happier with my decision and it made me a lot healthier and feeling much better. Dr. Michael F. McGuire, M.D., F.A.C.S.